Of course, it is very important to be with my children as much as possible, but not only at home. Exhibitions and museums, the circus and the zoo, movies, and even amusement parks – all this forms a picture of the world of the child, affects his development. Fortunately, in Moscow you can find lots of ways where to go and how to please their child and themselves. In Moscow regularly is a huge variety of exhibitions. In the CHA, for example, periodically opens exhibition of dolls, which can be interesting to children of any age. The permanent exhibition of the Tretyakov gallery are interesting to children of secondary school age. 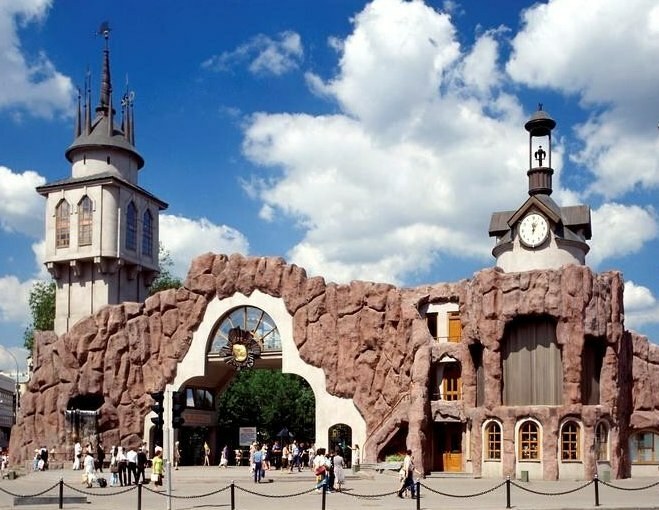 Moscow zoo is open for visits from 10 to 17 hours every day except Monday. In winter, the pavilion is not available, but all year round there are tours and lectures. This year the zoo hosts a meeting with the keepers (the people who care about animals). During these meetings, the keepers do their work, show and explain why and what they do and answer questions. Meetings are held on schedule, which can be found on the website of the zoo. The circus is always pleased even the youngest viewers. For example, in the Circus on Tsvetnoy Boulevard for children of school age do not need tickets if they sit on their parents lap. Bright animal shows, gymnasts and clowns will be interesting even to young viewers. In Moscow, you can visit the many musicals staged in the calculation of the small audience. The little mermaid goes to the theater "Russia". This is a vivid picture created on Broadway, has been carefully recreated here in Russia. Incredible stunts, beautiful melodies, interesting plot – this is a beautiful presentation and will not leave indifferent adults. In the circus "aquamarine" delivered a wonderful musical based on "Treasure Island". It will be more interesting for boys as adventurous storyline designed specifically for them. To expand the horizons is highly recommended to visit the Museum "Experimentanium", here you can learn about virtually anything. A permanent exhibition, interactive tours, shows and other activities will satisfy the curiosity. In this Museum you can learn about how crystals are formed, to deal with the laws of mechanics, to move the ball through thoughts and do other amazing things.